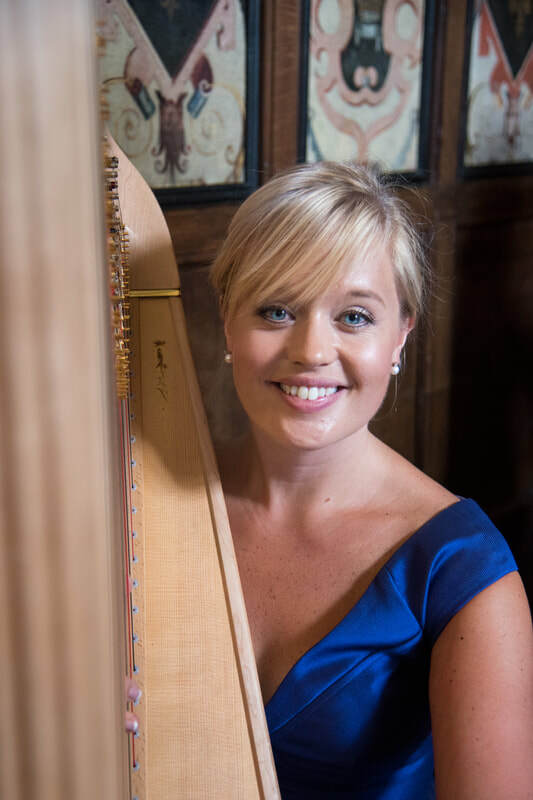 Having studied the piano, violin and singing, Fiona settled on learning the Harp at 6 years old, and it soon became apparent that the other instruments were secondary to her interest in the Harp. By the time she was 15, Fiona had attained a Distinction at Grade 8 and she then continued her Harp studies privately, whilst also obtaining a BA(Hons) in Textile Design from Brunel University. She has gained extensive experience performing throughout the UK and abroad for over 15 years, including residencies in London and Cyprus – also aboard cruise ships. Affectionately described as one of the friendliest Harpists about, Fiona is blessed with a strong sense of humour and a personality to match. 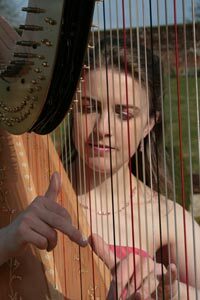 Specialising in "playing outside the Harpbox of tunes" - Fiona is well known for putting the extra effort into her repertoire and it ranges from Harp pieces, Classical, Jazz standards, through to more contemporary tunes such as Coldplay, Sting, Massive Attack, Radiohead, Guns n Roses and many more! 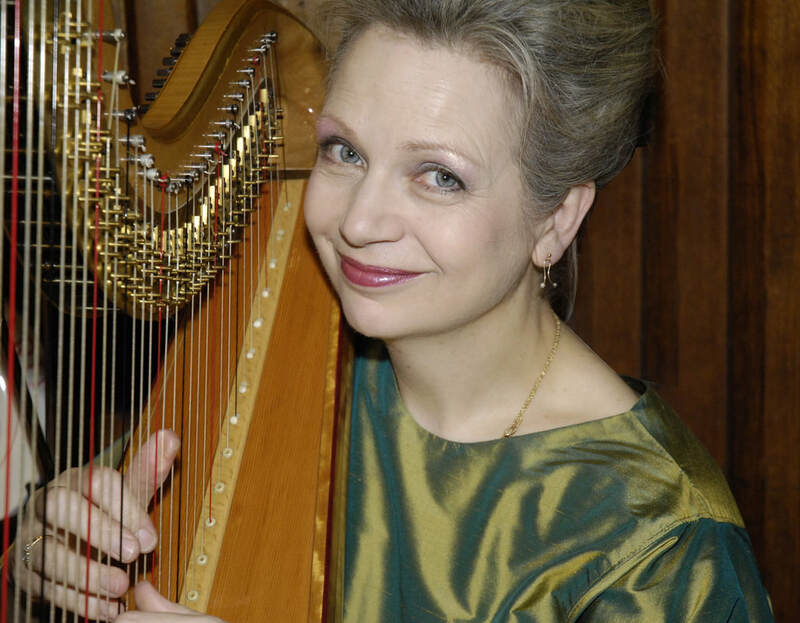 Currently Fiona has embarked on new projects and she has enjoyed becoming a member of ‘Glissando” (an 8 Harp Ensemble) in 2016, whilst attaining 13 private pupils to teach and is also teaching Harp at Bedes Senior School. 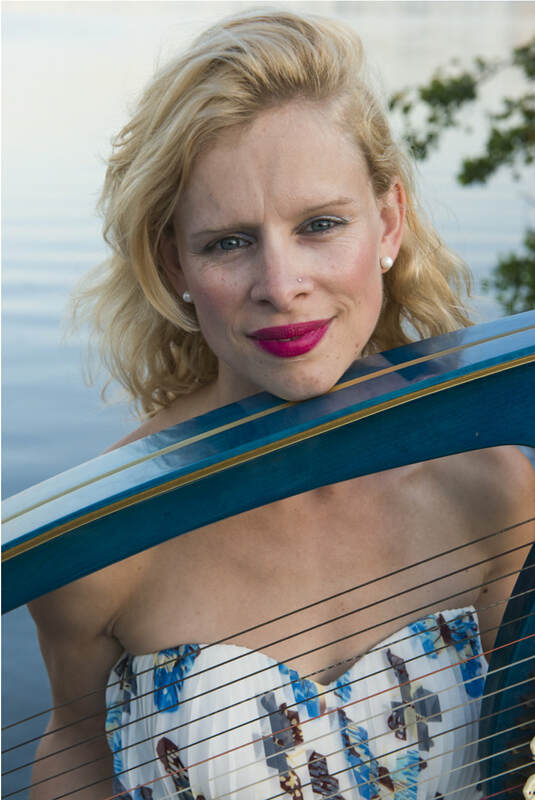 She also joined forces with Alexandra King in 2015 and their Harp duo ’94 Strings’ performs at Festivals and private functions, playing Bach to Beach Boys and everything in between! Teaching adult pupils the Harp has become her speciality and she gains great satisfaction in passing on knowledge of the Harp and its music and building confidence to her pupils, no matter what level they’re at. Her belief is that anyone is able to play a Harp, you need determination, a good sense of humour and a smattering of musicality helps! 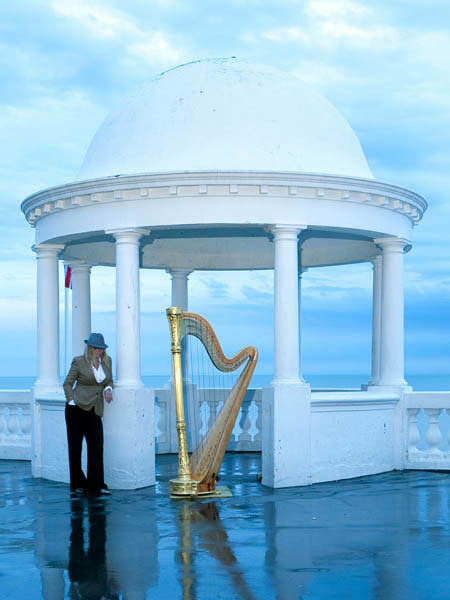 Alexandra is an experienced and versatile harpist based near Brighton, Sussex. She has enjoyed a varied career so far performing all over the country for international corporations, MP's, celebrities and royalty. Previous engagements include performances for HM Queen Elizabeth II on her visit to the University of Huddersfield, live on television for Channel 4's popular cooking and chat show Sunday Brunch, and at a party hosted by Robert Smith (The Cure). Corporate bookings have included numerous performances for RBS, the Football Association, and also PRS for Music where she played alongside Rick Wakeman for guests including Jon Lord (Deep Purple), Sir John Tavener and John Rutter. She has worked at many prestigious venues such as The Houses of Parliament, Wembley Stadium, St Alban's Cathedral, Glyndebourne Opera House and Hampton Court Palace. Anna Wynne studied at Birmingham and Leeds Universities, achieving a BA(hons) in English and Music, and an MMus in Performance. Mozart's Flute and Harp Concerto on a number of occasions. She made her Purcell Room and BBC Radio 3 debuts in 2004 in a Halloween concert at the Purcell Room with James Bowman, Peter Medhurst, Linda Howarth and Carol Wells. In addition she appeared with the film director Ken Russell in a recent BBC Television series "A Picture of Britain". Anna regularly performs at functions around the UK, and has played for the Prime Minister, Princess Anne, the Princess Royal, the Lord Mayor and the Mayor of London. In recent years Anna has played with the Orquesta Sinfonica de Tenerife, Orquesta Filamonica de Gran Canaria, Britten-Pears Orchestra, and Southbank Sinfonia.